The Danish philosopher and theologian Soren Kierkegaard wrote a story about a group of very clever burglars who broke into a jewelry store one night. Rather than stealing anything, they switched the price tags so that items that were previously expensive became cheap and those that were cheap became expensive. No one noticed when the burglars came into the store the next day and purchased the items they wanted at a steal of a price! 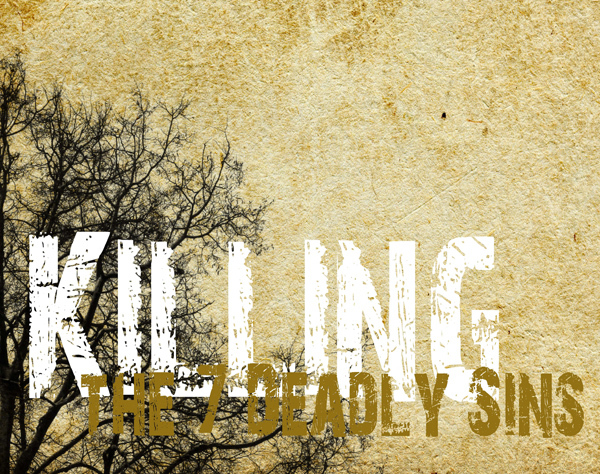 I am reminded of this story when I listen to Pastor Carlton teach on “Killing the Seven Deadly Sins” (current sermon series). It’s safe to say that the seven deadly sins have today morphed into the seven deadly virtues. Could it be that someone has switched some price tags? When I log on to Facebook or Twitter, for example, my tendency to be full of myself (pride) is not only affirmed but celebrated (not to mention my sloth). I turn on the TV and see a hamburger chain commercial where my lust is not only prompted but encouraged (not to mention my gluttony). I turn to a reality TV show where greed is rewarded, making me feel envious which of course leads to anger! Yikes! This is what our children are being exposed to every single day! What’s a parent to do? Let me encourage you first to take care of yourself. Guard your heart. Spend time in God’s Word and pray daily. Kill the seven deadly sins in your own life. As you know, we lead children primarily by example. Secondly, bring your family to church for worship each Sunday, especially during the month of May. After the service is over, talk with them about what they saw, heard and experienced. Teach them how to recognize sin for what it is, how to know right from wrong, how to think Christianly in every situation. You can give your children the tools they need to be able to faithfully follow Jesus in a world of switched price tags. Please know that we are here to help and encourage you in your holy calling as a parent. Let us know how we can support and serve you and your family. Springtime is here and we pray that your home is filled with Easter joy. May you take take advantage of the many opportunities we have to worship and serve our risen Lord! This entry was posted in College Avenue Baptist Church, Ministry, Parenting, Uncategorized and tagged College Avenue Baptist Church, parents. Bookmark the permalink.